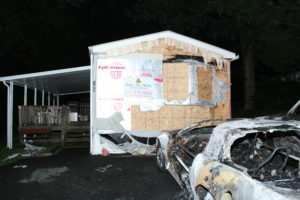 We only arrive on the scene of an emergency if we are invited by the property owner or representative. Our friend did not know our policy and said, “You didn’t show up!” We explained that someone must call us and then we will respond within an hour no matter what time of day. It is not uncommon for some service providers to listen to scanners and arrive at the scene of an emergency without invitation. We believe it is inappropriate and unsafe to arrive on a property uninvited. We believe these practices inhibit and distract from the efforts of the fire and police departments whose primary concern and objective is the safety of our fellow citizens. We do not solicit our services when a person has experienced an emergency and is possibly in a vulnerable state. We do show up, but only if called upon. 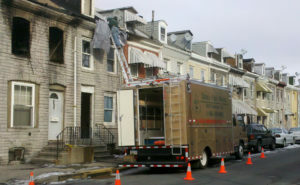 For over 18 years, Berks • Fire • Water Restorations, Inc. has been proudly serving our seven-county service area. We have grown largely due to good old fashion referrals of neighbors who know us to have a track record of results, standing behind our work, and doing the right thing. We rely on our reputation and the overall quality of our service. Everyone at BFW takes the responsibility of a referral very seriously. The team is made up of compassionate individuals who rally at the opportunity to make a meaningful impact on the lives of others during their time of need. We remain committed to continuously investing in our staff, our technology and our community. It is simple. We show up when called upon. We are grateful and humbled every day by the confidence placed in us. Thank you for your support.